Works by artist Jackie Jones will be featured at the Gallery at Firehouse Square's spring exhibition. NEW LONDON — The Gallery at Firehouse Square's first exhibition for 2018 will be of the works of noted plein air and landscape artist Jackie Jones of East Hampton and American Society of Marine Artists painter Bob Perkowski of Milford. Each artist will have on exhibit some 15 new pieces of their own work for the show. The unique feature to this exhibition is that both painters will be creating in front of all attendees a 16” x 20” image during the opening reception, Thursday April 12, from 5:30-8 p.m. at the gallery, 239 Bank St. The public will be able to view how a piece is created, ask questions of the artists, and watch while the image is “blocked” in. Once the reception is over, the artists will return to their respective studios to finish their piece in time for the closing reception on Friday, May 25. Both pieces will be on display, and at 7 p.m. there will a live auction for each piece. 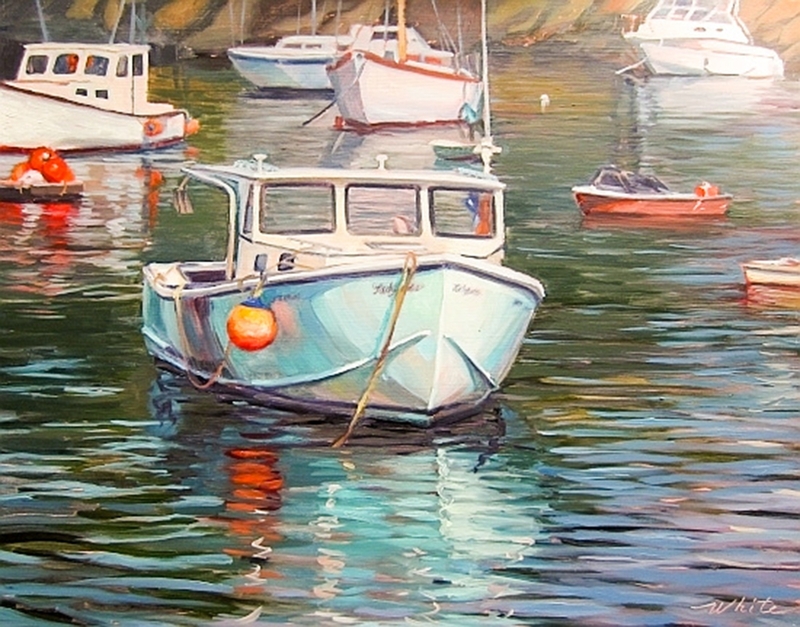 The artists are donating their work to the auction, and the entire proceeds will be donated to OPSAIL to help fund the Connecticut Maritime Heritage Festival, scheduled for Sept. 4– 9, 2018. Both opening and closing receptions will feature live music and light refreshments. For more information, call 860-443-0344 or email info@FirehouseSquare.com. Works by artist Bob Perkowski will be featured in the Gallery at Firehouse Square's spring exhibition.